Although I liked playing trumpet, I never liked putting on bulky leather vests–complete with dangly bits on the shoulders–and funny hats–complete with fuzzy things sticking off the top–and marching around trying to hold the trumpet out, stay in step, stay in tune, stay on the downbeat whilst trying to avoid collisions with random objects and/or people. It was bad enough in parades but in Kansas the torture of “pattern” was added to it. Go here, turn there, pause, swing your horn (which is totally not dirty) and end in a neat little geometric pattern whilst playing your heart out. Mind you, we were no Sonic Boom of the South, but then they have talent and dedication and actually volunteered for the job. To make matters worse, as trumpet players we had to buzz our lips against another frozen bit of metal and try to make everything stay in tune. Basically, we ended up with numb hands and lips. This meant my friend Randy and I had to march out to the middle of the pack and perform a duet. If we had done this at the beginning, I would have been fine, but by the end of the performance I could barely feel my fingers and could barely play more than a sharp honk. Luckily, Randy was a better trumpet player and carried the performance. I was honored when it was all over. Or maybe I mean relieved. This entry was posted in Life and Stuff, Personal, Random on February 28, 2015 by DELively. One of the things I don’t do often enough is clean my stuff. Instead, I use my stuff until it breaks and then try to use it some more. Lately, though, I’ve been cleaning stuff, and taking pictures of it, in order to sell it. One of the pens was my workhorse for many years. I used it every day and ran various colors of ink through it (well, if black and blue-black count as “various”) and even hand wrote my first “novel” with it. It cleaned out fairly quickly. The other pen, though, was my marking pen. I filled it with Pilot Red ink and used it to ruin the days of hundreds of students (at least during exam times). In fact, in some cases, I put more marks on exams than the students did. I used that pen until it cracked and then kept using it until the converter broke when I was filling it, covering my hands in red ink. Washing my hands only changed the ink to pink. In the past, I’ve tried soaking them in water, but after each try, I could still see the red stains on the feed of the marking pen. Finally, I bought some pen cleaning solution and soaked the pen for a day. 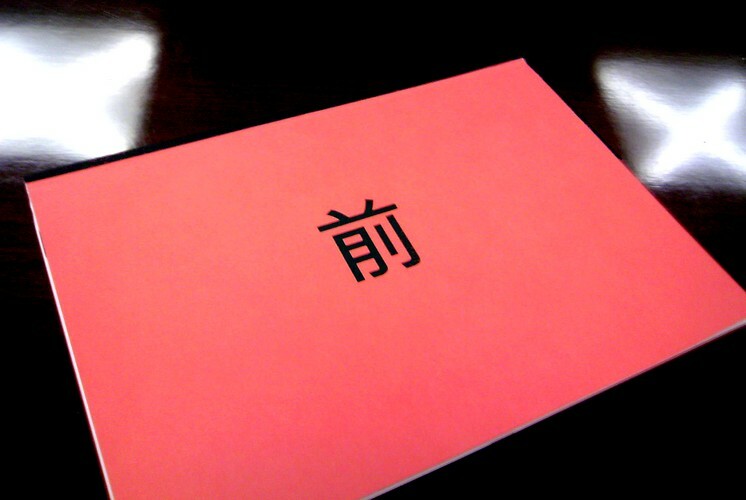 Lots of red ink came out. 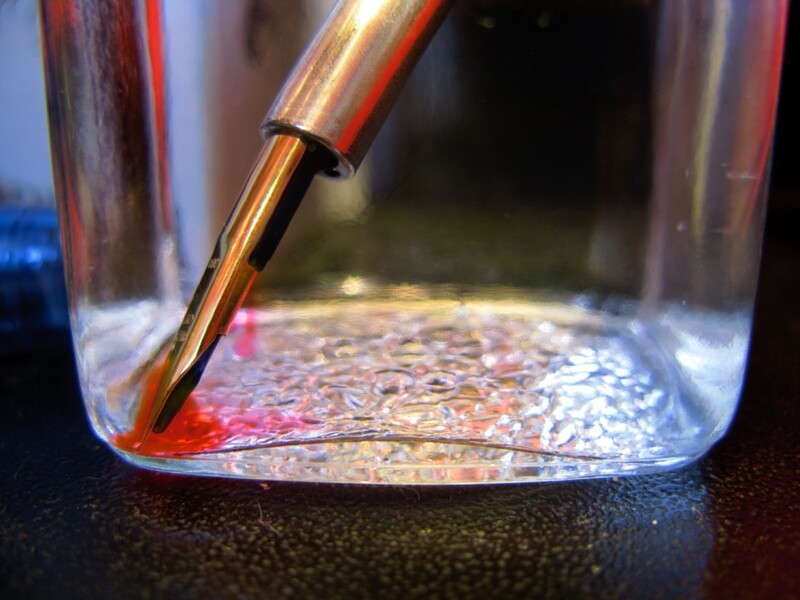 When I decided the red ink had suffered enough, I removed the nib assembly and dried it off. Red ink started leaking out right away, even after one cleaning. I’ll let it sit over night because, even as I write, I can see wisps of ink leaking out, despite it having sat there in the solution for four hours. The only thing I can say is, all those students are getting the last laugh. This entry was posted in Japan, Life and Stuff, Pens, Personal on February 27, 2015 by DELively. Today was the one year anniversary of a disaster that wasn’t actually my fault but I apologized for it. The funny part is, I didn’t even realize it was the one year anniversary, but I still felt nervous about it. Today was the start of our high school exams which means 1) I’m about to get really busy for the next few days and 2) I’m already in denial. This isn’t that unusual. However, both yesterday and today I had a surprising amount of stress about the exam. There’s always a little bit of stress if it’s a test you’ve written, but today’s was a higher level of stress than usual. This morning I checked the test schedule three times and even as I was walking to school I checked my phone to make sure I wasn’t getting any “where the hell are you” calls and messages. It wasn’t until I saw, off in the distance, a colleague heading to work that I felt confident that I wasn’t missing the test. Then, because I’m in charge of the year and the exam, I went down to get the listening test CD and carry it to the broadcast room. When the technician performed his initial tests everything seemed okay, but he had to turn the volume up pretty high. This made me worry the sound quality wasn’t good enough. I spent the 10 minutes before the exam pacing and had the script ready in case I had to perform it live. No calls came. But I paced, sat down, paced, sat down and paced until the last 10 minutes when it was unusual to get questions. Now I’m in the denial phase and it wasn’t until I did some checks to make sure I wasn’t repeating myself in one of these posts that I discovered where all that stress had come from. Now I have to get back to work, or denial, both are okay. 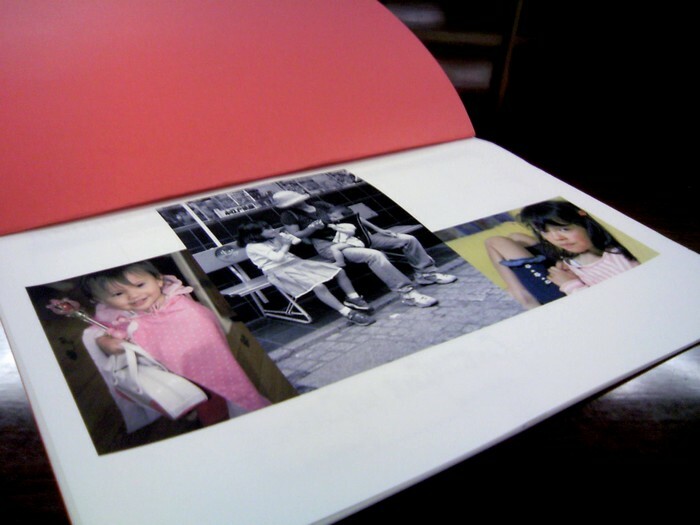 This entry was posted in Japan, Teaching, Work on February 26, 2015 by DELively. Yes, I am a sick man and, yes, I probably have a problem. I’m in the process of making my calendar for next year. I make my own because 1) I’m picky and 2) it’s more fun than doing real work but leaves me with the impression I’ve actually been working. During university I had a bad habit of forgetting assignments and meetings and accidentally double booking events. To try to cure myself of this, for many years I tried to use calendars of various sorts. I remember Kansas State University used to publish a school year calendar that may (or may not) have been nicknamed “the Annual” which, I’ll grant you, is a bit like naming it the “school year calendar thingee”. It was a spiral-bound book with one week on two pages. Every year I tried using it but after a month or so abandoned it. 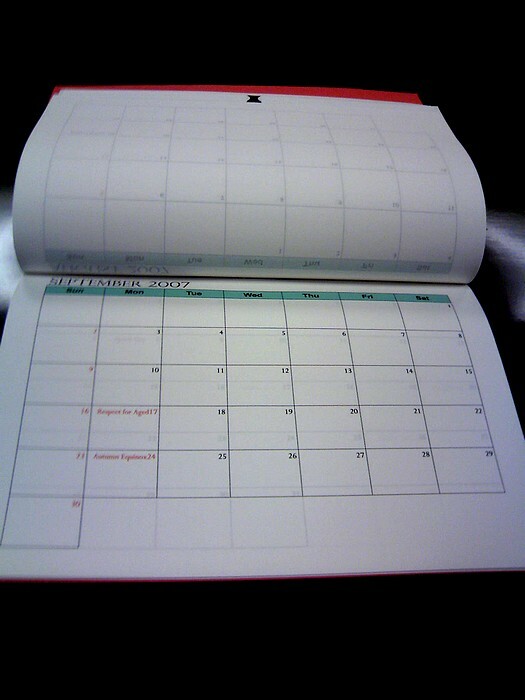 The “school year calendar thingee” had two fatal flaws: 1) spiral-bound and 2) the school itself hogged the days. Basically, the school pre-filled important events, including sports, and it was common for at least one day a week to be completely full before I’d had a chance to enter my information. I then went through a series of calendars of various sizes but all of them had at least one fatal flaw and I never found them particularly useful. Then, after I came to Japan, the JET Programmed gave us some small planners that had a full week on each page and included lots of useful information such as medical terms and basic legal advice–which could be summed up as “don’t be stupid” and “Even if you are stupid don’t do stupid stuff”. I used that planner a lot and, to this day, still kind of miss it. No birthdays here, just a couple holidays. Making my own let me add birthdays and pictures of the family. All my girls in one place several years ago. My unoriginal cover decoration as to put various versions of “Front” and “Back” on them. This is the character I used to represent “front”. Eventually I even abandoned those. My new planner is a system that involves an electronic calendar on my computer (and which I hopefully will be able to sync to my phone) and a 12 days per page paper calendar that covers the entire year. The 12 days format lets me see what’s coming, but still leaves me room to write. I’ll probably abandon that in a couple years, too. It’s already in its second incarnation. This entry was posted in Life and Stuff, Paper, Personal, Random on February 25, 2015 by DELively. It’s hard to believe, but after all these years, Japan might have finally jumped the shark on crazy. Or someone in Japan is a genius. Or a crazy genius. Whatever they are, someone decided it was a great idea to take one of the most popular girl groups in Japan, Momoiro Clover Z–For the record: The Z is pronounced “Zed” thus Momoiro Clover Zed but everyone just calls them “Momoclo”–and pair them up with aging 70s superstar rockers old enough to be their grandparents. The genius/madman then decided to all it “Momoiro Clover Z vs KISS. That’s right, the dark princes of glam rock are pairing up with pop princess lolitas to, well, rock and roll all night? The images of them together are rather disturbing. Keep in mind Gene Simmons is about as tall as I am. It could be creepier though, but every Momoclo is at least age 18 so that makes it, well, no, it’s still creepy. They’ve already produced a single and a promotion video which can be enjoyed here. (Note: the “live” action starts at about 1:40.) Momoclo will also perform at the final concert in KISS 40th anniversary tour. I’m not sure why someone thought this was a good idea. Back in 1977 KISS sold out the Nippon Budokan five times (which beat the Beatles record of four) but no one younger than I am had ever heard of them until last year. That said, Gene Simmons is a marketing genius and I can’t imagine anyone younger than I am would attend one of their concerts unless there was a gimmick like this attached to it. This gives them a chance, albeit a weak one, to grow their audience among young Japanese. I still think it would have been more logical if KISS had performed with Babymetal, but I guess they needed someone who couldn’t out rock them. This entry was posted in Japan, Random and tagged culture on February 24, 2015 by DELively. Our oldest is in Kyoto which means she’s going to be harassing foreigners soon. One of the few universal school traditions all Japanese experience is a trip to Kyoto during their second year of junior high school. The preparation for this trip involves dad repeatedly saying “pack your crap or you won’t have any crap with you on the trip” and She Who Must Be Obeyed secretly helping our oldest pack her crap. Once there, the students do some traditional activities (fan making, tea ceremony) and they visit lots of famous places like Kinkaku-ji (which is overrated) and Kyomizu-dera (which is not). One of the requirements, though, is that sometime during the trip, whilst they are at one of the famous sites, they approach foreigners and interview them in English. The questions are pretty basic “What is your name?” “Where are you from?” “What is your hobby?” “Your money or your life?” etc. In fact, almost every foreign person I know who’s ever visited Kyoto has, at some point, been accosted by a teenager carrying a notebook. After the feeding frenzy dies down, the brave kids and the shy kids go back and let the lazy kids copy their answers. That’s actually okay, because the lazy ones are probably not the ones worth talking to anyway. This entry was posted in Japan, Life and Stuff, Random on February 23, 2015 by DELively. I’ve been watching Gotham and doing my best to like it. The problem I have with TV shows like Gotham is I know how they’re going to end and that makes them pretty boring. I know that, no matter how dangerous the situation is, the Penguin is going to survive. I know that no matter how many bullets are fired at young Bruce Wayne, he’s going to survive to become Batman. (Spoiler warning.) I know that Detective James Gordon has to survive so that he can become Commissioner Gordon. Gotham‘s gimmick is to essentially focus on the doomed to die red shirt characters and the characters in the background who don’t even get a uniform. This makes the show character and actor dependent. Future major characters make appearances, but some of them are only 12 years old. Some of them haven’t even been born yet, but their parents finally get together. Unfortunately, he’s pretty much carrying the show. Ben McKenzie, who plays the center of the show James Gordon, suffers from what I call “Colin Farrell Syndrome”. This means 1) he’s handsome; but 2) surprisingly uncharismatic on screen; and 3) not a particularly good actor. Donal Logue, who plays his partner Harvey Bullock is much better. Camren Bicondova, who plays 15 year old Selina “Catwoman” Kyle suffers from being annoyingly cute and clean for a girl who supposedly lives on the streets. Her hair is always perfect, even in the rain, as is her make up. The leather jacket and hoodie she always wears must be pretty ripe by now. By contrast, Clare Foley, who plays Ivy Pepper (the ridiculous name given to Pamela Lillian Isley who will eventually become Poison Ivy) looks dirty and her clothes keep getting more and more tattered. She also plays creepy well by not saying much. The show’s other problem is a lack of control over tone. Robin Lord Taylor, Cory Michael Smith (who plays Edward “Riddler” Nygma) and Jada Pinkett Smith (who plays the non-canonical and badly named Fish Mooney) are in a different TV show than all the other actors. Their attitude is “Scenery motherf@#ker! Do you chew it?” Jada Pinkett Smith’s problem is she doesn’t realize she’s imitating Catwoman. The only character I feel sorry for is the young actor playing the character who will eventually become the Joker. He gets the duty of being the first post-Heath Ledger Joker. I do not envy him that task, especially as he’s not very good. A leer and a cackle do not a good Joker make. I’ll probably finish out the season, but I’m not expecting much. I just hope they remember the Joker has green hair and not red. This entry was posted in Personal, Random on February 22, 2015 by DELively. Today I tried to get a man to tell me which of his fellow craftsmen he hated the most. Today was the Tokyo Folding Knife Show which meant I met up with my Canadian friend and we perused the suddenly expensive fare. 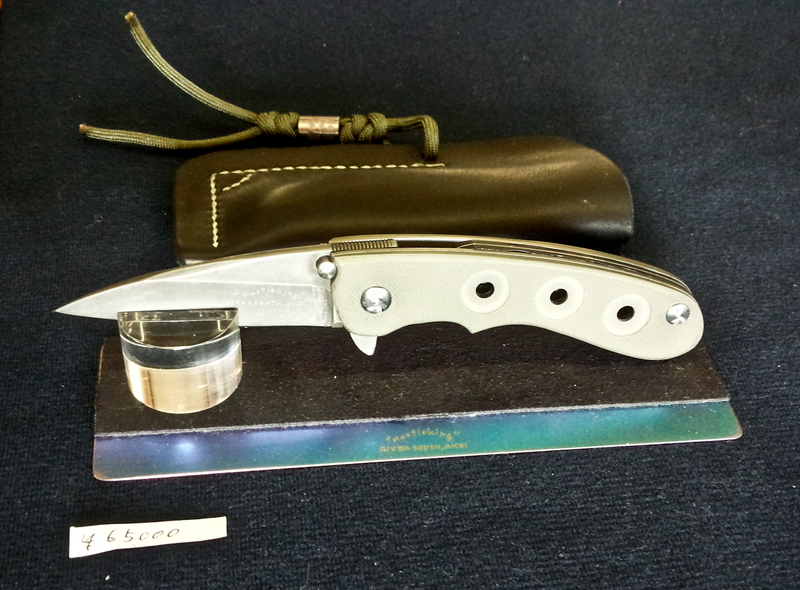 This year, though, there was a bigger variety of knives, including flippers and button locks and side locks. The problem was 1) although they are fun to play with, I’m not a huge fan of flippers as they tend to scare the hell out of non-knife people; and 2) most of the flippers were disturbingly expensive. 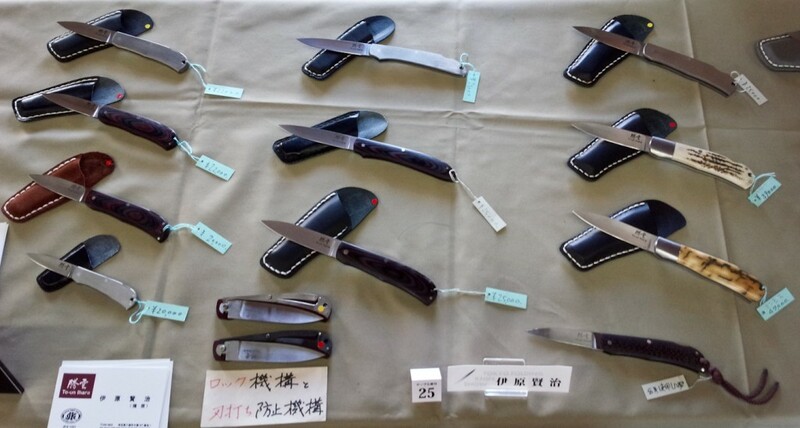 The cheapest of the cool knives was a flipper from Kazuyuki Sakurai that was only 65,000 yen (US $546). Kazuyuki Sakurai’s flipper. A steal at only 65,000 yen. I was also a big fan of a Koji Hara/Marfione collaboration (that I got video of but neglected to take a picture of). It was only $2,350. 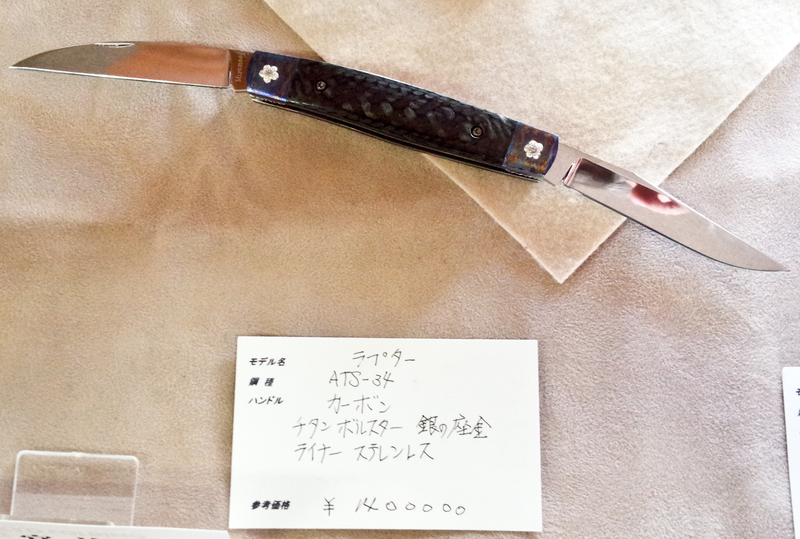 The most expensive knife, though, and I’m shocked the man let me touch it was the Raptor, a two blade slip joint from Toshiyuki Miyame. It had ATS-34 steel blades, carbon fiber scales. anodized titanium bolsters, silver pins and stainless steel liners. All for only 1,400,000 yen ($11,765). Only $11,765. I tried to order two, but he said it’s one of a kind. Beautiful, but is it really worth $11,765? We also chatted a bit with To-un Ihara, who’s pretty much become our friend. Although I had a good time, I didn’t buy anything. We didn’t even stay for the free drawing, partly because that would involve spending a couple hours hanging out near all those knives and, slowly but surely, justifying the prices whilst reaching for our wallets. I would have even been tempted to buy an ivory handled slipjoint just to hear the sounds of heads exploding when I mentioned to some of my friends that I had one. 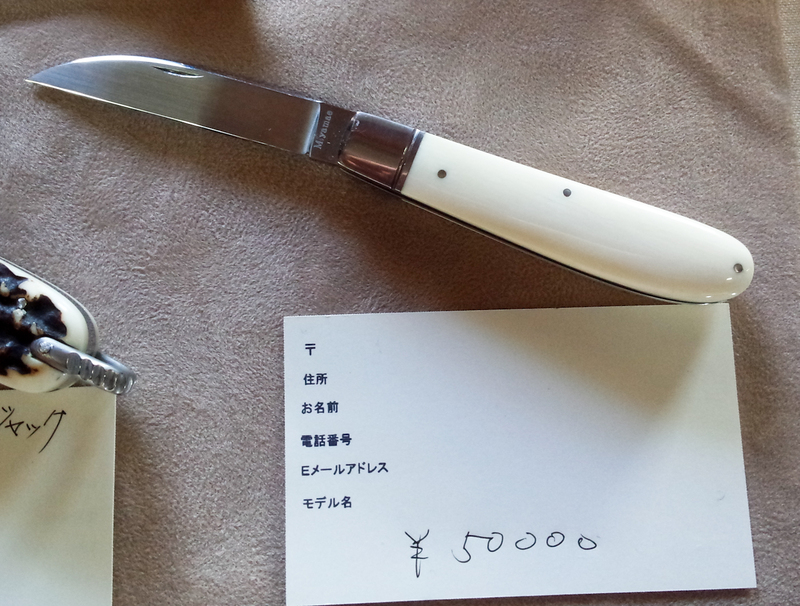 An ivory handled knife from Miyamae for only $420 and a short trip to hell. As always, everyone was friendly. In fact my friend Wes pointed out that all the knife makers seemed to be friends, even when, as in the case of Captain Koyama and Kazuyuki Sakurai, they were making knives in similar styles. We pointed that out to Kazuyuki Sakurai and he agreed. That’s when I asked him which of his fellow knife makers he hated the most. As he is a gentleman (something I’m still working on) he wouldn’t tell me. He also didn’t betray anything with his eyes by quickly glancing in a knowing direction. 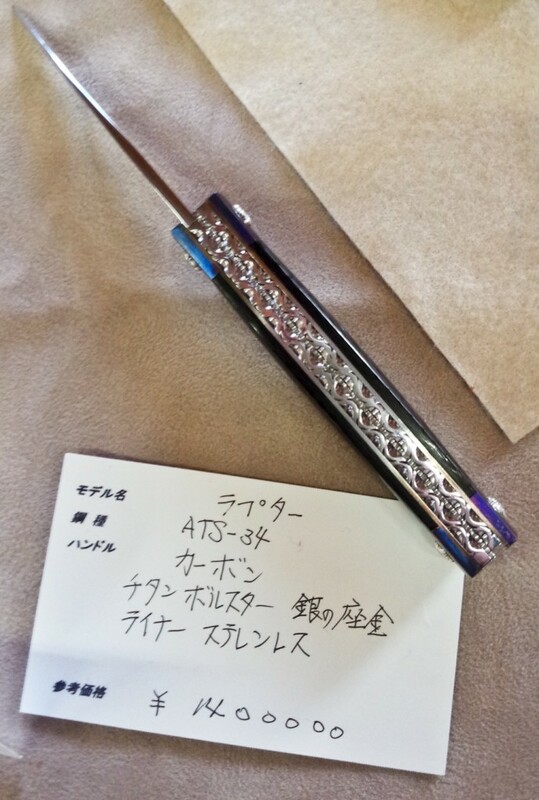 This entry was posted in Japan, Knives, Life and Stuff, Random on February 21, 2015 by DELively. This one time, I fell in a rice paddy. The funny part is, I was sober when I did it. After I moved to Nou-Machi, I was presented with an apartment and a bicycle. The bicycle was just barely the right size but I could get around on it. The biggest problem, at least at first, was that second gear didn’t work. I drove it for a long time until second gear started causing the chain to slip and me to swear and me to spend time trying to fix it which caused me to swear some more. Eventually, I took it to the town to be repaired. They didn’t repair it. Instead they gave me a new bike. Unfortunately, they didn’t bother actually measuring me to see what size bike I actually needed. Instead they ordered the Gargantua model which was too big for me. Despite that problem, I used the bike a lot but was never comfortable with its size. Also, to understand how I ended up in a rice paddy, you also have to understand that 1) there was a rice paddy right next to my apartment; and 2) I lost a fair amount of weight while I was in Nou-machi. (Not as much as I’d lose in Albania, but that’s another story.) This made my jeans and shirts baggy. Then, one day, for reasons I don’t remember, I was in a hurry. I rushed back to my apartment, rode my bicycle up to its parking place under the stairs and attempted a dismount (official level of difficulty: 2). However, the crotch of my baggy jeans caught on the seat and and everything shifted toward me and I started to lose my balance. An observer would have, well, observed a tall foreigner on Gargantua’s bicycle doing a slow “TIIIIMBEEEER” back into the rice paddy which, by the way, had meter high walls. Luckily for the tall foreigner, the rice was tall but not yet ready for harvest and that helped break his fall and make the situation less messy than it could have been. I landed on my back and the bike landed on top of me. After a few moments I managed to extricate myself from the bike and then exit the rice paddy. In the aftermath, I had to run my shoes through the washing machine to make them even remotely useable. I never did that again but, quite frankly, once was one time too many. This entry was posted in Japan, Life and Stuff, Personal, Random on February 20, 2015 by DELively. I really need to be more careful about getting inspired by friends. A year ago, a friend of mine was coming to the end of a year long project to write a blog post every day. In a fit of madness, I decided that was a good idea and started doing it myself on February 20, 2014. Today marks the end of that the year and the start of a crisis about what to do next. I’m still amazed I managed to pull it off without missing a post (there were days, though, there were days). I did make a few changes along the way. I started going to bed at 11 which cut down my writing time. I also started shortening my minimum word count to 300 words instead of the original 400. Sitting down to write without having a topic ready has actually happened several times. Sometimes I’ve been pleased with the posts, most of the time not. Readership, according to analytics, has been small but consistent with periodic bursts of readership, usually as a result of something I’ve done on another site. Fool me thrice, I’m a moron. Now, as I start the second year, I’ve got a few changes in mind. My goal is to keep up the daily posts, but the nature of the posts will change. Now that I’m not worried about losing track of which post I’m on, I’ll start doing multiple posts each day. I’ll publish a few photos and start doing book reviews and product reviews (probably fountain pens and pen related goods). I’ll also start posting articles from other sites I find interesting and or amusing. I hope to keep my own content going and will do at least one such post a day, but probably a lot shorter than what I’ve been doing. At least once a week, maybe twice, I’ll do a much longer post. Eventually, I will assemble the Albania posts and the Japan posts as an ebook of some sort. In the end, I’m glad I did it. I wasn’t always happy writing the posts, but I was always happy to have written them. I think there are more pearls than swine here, but I’m not necessarily the best judge of that. Thanks to all of you who’ve followed along for the entire year, and to those who have commented on Facebook or on this site. This entry was posted in Life and Stuff, Personal, Random, Work on February 19, 2015 by DELively.